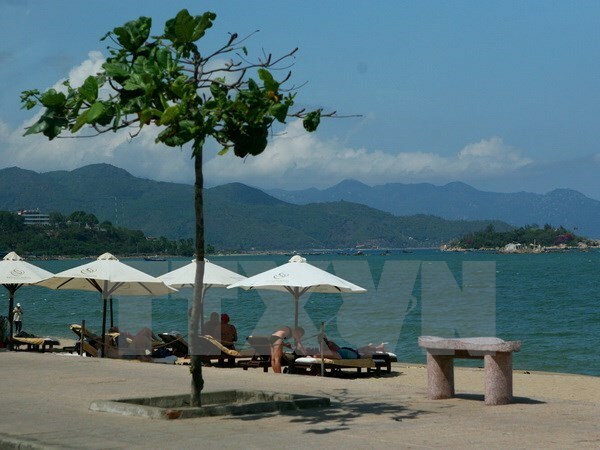 Khanh Hoa (VNA) – The south central province of Khanh Hoa expects to greet about 40,000 visitors in the upcoming three-day holiday on the occasion of the National Day (September 2), up 10 percent year on year, according to the provincial Department of Tourism. As part of efforts to prepare for the holiday, the province has strengthened monitoring service prices across the locality, while setting up hotlines to receive feedback and reports on violations. On the occasion, Vinpearl Land Nha Trang will offer some new tourism products to attract tourists, along with special promotion programmes. At the same time, local transportation firms have committed to ensuring vehicles for passengers without raising service prices. Eight additional trains from Ho Chi Minh City to Nha Trang have also been operated from August 31 to September 4 to meet travel demands. Khanh Hoa welcomed more than 2.6 million tourists in the first half of 2017, up 22 percent from the same period last year, earning more than 7.5 trillion VND (330 million USD) in revenue. International arrivals rose by 180 percent year-on-year to 949,000 and their average length of stay also increased by 90 percent to 3.3 days. The number of foreign visitors from China and Russia jumped by 263 percent and 248 percent, respectively, while tourists from Japan, the US, the UK, Canada, France and German decreased.